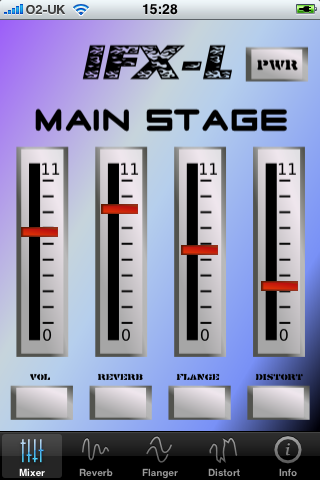 iFx Lite : Guitar Effects for your iPhone. 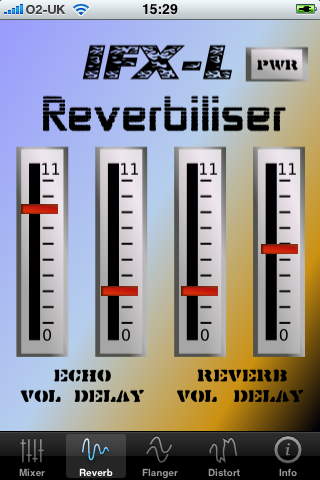 Reverb: Both feed forward (Echo), and Reverbation available. Combine the two effects to create a Chorus effect! 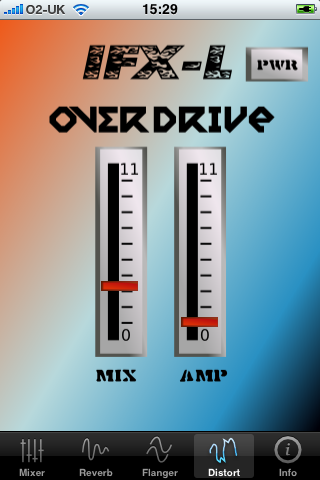 Overdrive: Pump up the distortion to level 11! On the Menu Page: Switch on the iFx via the button on the Top Left. 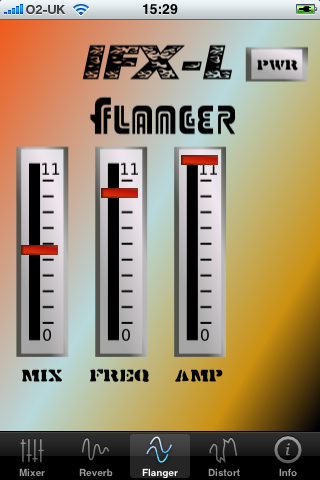 Adjust the VOL slider so you don't get any distortion. Switch on effects using the buttons at bottom. Fine Tune the effects on their individual pages. Alternatively you can use the standard mic/headphones provided by Apple. 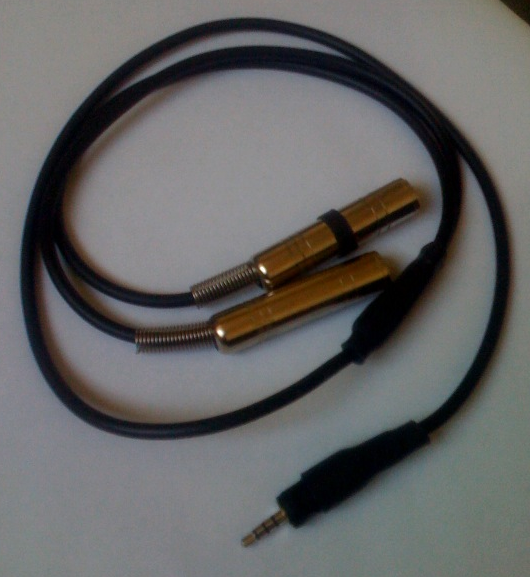 To connect iFx up to you Guitar and Amp, you will need an adapter cable! You can see the two alternative types that we produce in the photos above. 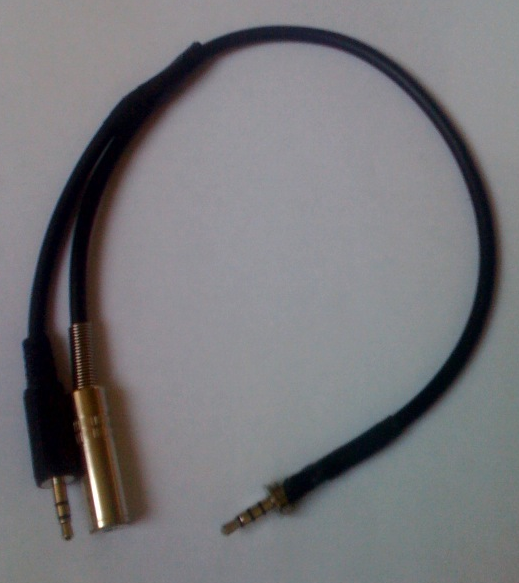 Alternatively, You can make your own cable: There is plenty of documentation on the web about how to do this. Dr Bob is always looking for good developers to collaborate with. 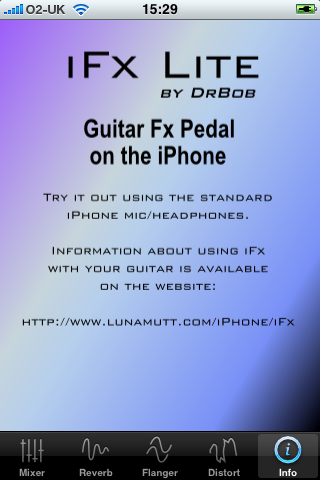 If you have developed a cool guitar effect, and you want to use it on the iPhone... contact DrBob and he could add it to iFx-Lite, or collaborate with you to produce an alternative paid-for iPhone application. You can reach DrBob at: iphone * at * lunamutt [dot] com for any other info.